The growing epidemic of addiction to opioids -- a class of drugs that includes heroin and prescription painkillers -- has been well-documented by the medical community. But as stories of celebrity deaths like Philip Seymour Hoffman and Corey Monteith make headlines, and as use of the drugs spreads within communities across America, more people are realizing how widespread the problem really is. “To be honest with you, it’s something we’ve been seeing for the last 10 years, but it’s become a big enough problem now that it’s catching the public’s attention,” Dr. Adi Jaffe, the co-founder of Alternatives in Beverly Hills, Calif., who teaches classes on addiction at UCLA and Cal State Long Beach, told CBS News. 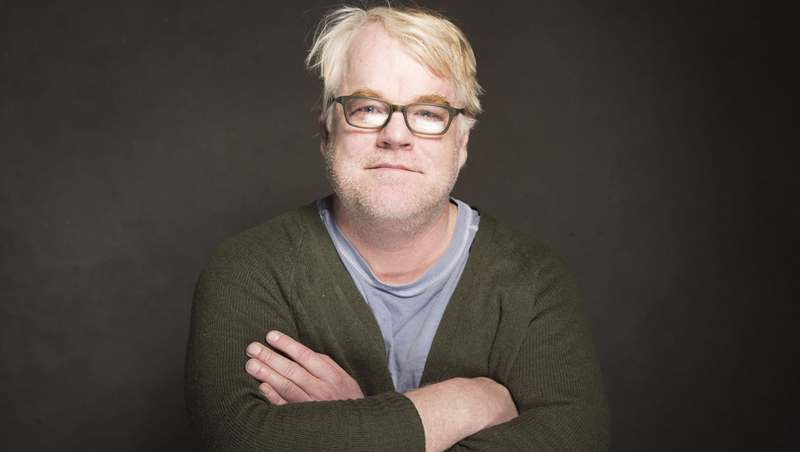 Hoffman had been through rehab for substance abuse in his early 20s, he told "60 Minutes" in 2006. Twenty three years after getting sober, he relapsed due to a heroin and pill addiction in 2012, and reportedly went through a 10-day rehab program just a few months ago. The Oscar-winning actor was found dead on Sunday with a syringe in his arm. More than 70 glassine envelopes with suspected heroin inside and several different prescription medications were found nearby. A Substance Abuse and Mental Health Services Administration (SAMHSA) survey showed that heroin use increased dramatically in recent years, from 373,000 users in 2007 to 669,000 users in 2012. The Centers for Disease Control and Prevention reports that drug overdose deaths rose for the 11th consecutive year in 2010. Prescription drugs were the culprit behind 60 percent of those deaths, and three out of four cases involved opioids. The Food and Drug Administration has pushed for tougher regulations for opioid painkillers, including stricter labeling and more studies before they are put on the market. Because prescription drugs can cost so much on the street, some opioid addicts begin to turn to heroin as a much cheaper alternative. When it comes to attempting to quit heroin, there are three main techniques that rehab facilities use. Abstinence facilities, like Narcotics Anonymous or Betty Ford Center, try to get addicts to quit cold turkey. These programs range from short, 10-day programs that take a person through the withdrawal process to long-term programs that take months and help a person address the deeper issues that may have led them use drugs in the first place. The rate of relapse can be high. Some people opt to leave right after they are done detoxing and never address the underlying issues that led to their addiction. If they return to a situation where they are highly stressed or where people around them are using drugs, they are in danger of relapsing. A relapse puts individuals in heightened risk of overdose, Levenson said. Many people who start using heroin again after a stint in rehab take the drug in the same quantities that they did at the height of their addiction. Since there isn’t any heroin in their system, it overwhelms them and they ended up suffering the consequences. Overdose is always a risk with heroin because the purity and strength of the drug can vary from batch to batch. Sometimes heroin is mixed with an opioid painkiller, Fentanyl, which can make it ten to 100 times stronger, experts say. That combination is blamed for dozens of deaths in recent months in Pittsburgh, Pa., and several other states. Police said Tuesday evening that the heroin found in Hoffman's apartment was not mixed with Fentanyl.
} Another method of treatment uses medications like methadone or suboxone, known as opioid agonists and partial agonists respectively, to replace addictive opioids, with the goal of eventually weaning the person off of the drugs. While methadone and suboxone do provide some of the same effects as heroin, the difference is the treatments are designed to be released in the body over a long period of time instead of the sudden jolt that shooting or snorting heroin provides. Agonists have the ability to fully stimulate the opioid receptors but the substance has less potential for abuse. Partial agnoists only somewhat stimulate the opioid receptors -- meaning the person won't get as high. The treatments are doled out so that one or two daily doses stop withdrawal symptoms and allow the addict to return as a functional member of society. Jaffe explained that heroin addicts often have to shoot up almost every hour to keep their high, so they become incapable of holding a job or caring for a family. For example, the 70 bags found in Hoffman’s possession might only amount to six to seven days of regular use, or three days of heavy drug use. However, opioid agonists are controversial because some argue it is just exchanging one addiction for another. Finally, there are treatment programs that use medications to get people to stop immediately. This includes programs that use antagonists like Vivitrol or naltreoxone which block opioids from binding to receptors. When the addict tries to use, they don’t get the effect of being high, which makes the drug unappealing. These medications are approved for the prevention of relapse, so a person has to be clean before using them. Still, with any of these methods, breaking a heroin addiction is still very difficult. One UCLA study that followed heroin addicts for 33 years who were attempting a long-term abstinence plan showed that they were only able to stay clean for 5 or more years 10 percent of the time, Jaffe pointed out. Jaffe said programs that use a combination of all three of these methods tend to have the most success. He emphasized the importance of addressing why people become dependent on drugs in the first place, or else when they encounter a certain trigger they risk falling back into cycle of addiction. The most important thing is to help addicts get the help they need as soon as possible. Levenson said anyone using heroin is in immediate danger. “That person could die every time they get high,” he said. “If we catch this early and intervene with early Oxycontin and Vicodin abuse, we can stop these dangerous drugs from leading down a dangerous path. People who are dependent on opiates in high school do not need to be lifelong addicts,” he said.